Ai-jen Poo: Sunday night I attended the Golden Globes as one of eight activists invited by actresses affiliated with Time's Up, an initiative of 300 prominent women in Hollywood working to bring an end to sexual harassment and assault across all industries. It was a rare pairing -- activists and artists seeking to elevate the stories of domestic workers, restaurant workers, farmworkers and survivors of gender-based violence. But what made the evening so remarkable was that it wasn't a one-off event. It marked the dawn of a new era -- with women finding strength in each other and proving that when we are united, we are unstoppable. Our message as activists and actresses was simple -- we stand together in our determination to live and work with safety and dignity. We are tired of a world where our work is devalued and our dreams disposable. And speaker after speaker that night reinforced the belief that the time is now. We are not going back. This message was particularly important for women in vulnerable industries such as domestic work. Currently,roughly 2 million women work in the shadows of the economy, behind the closed doors of private homes and with little legal recourse or basic protections. They are also disproportionately black and immigrant women. Despite these barriers, many domestic workers have shown incredible resilience and determination to establish protections from abuse and address their long history of exclusion. These women have done the impossible -- they have organized. Their first state was New York, where more than 200 women gathered in November 2003 to share experiences and discuss protections that would help them. They took these ideas and concerns to the Immigrant Rights Clinic at New York University School of Law, where students researched existing law and changes that could be created to protect women better in the domestic workplace. Ensuring that domestic worker voices were comprehensively represented every step of the way, they also broadened their organizing to include employers and families who rely upon domestic workers to support the campaign. Their legislative proposal, seven years later, transformed labor law in New York. It provided paid time off and full protection from discrimination and harassment under the state's human rights laws. The New York campaign set off a wave of campaigns in other states such as California and Massachusetts as domestic workers came together and demanded solutions. Driven by stories of survivors, and supported by workers, employers, people of faith and countless others, they built the political power necessary to move legislators to pass new laws. Today, eight states have passed domestic worker legislation, with several that include new protections from sexual harassment and discrimination. While there is clearly more to be done, domestic workers have campaigned to create meaningful change in the practices and policies that shape their lives. There is much to learn from these experiences. Perhaps, most importantly, that when women organize, we are capable of changing even the most entrenched systems of inequality. Sunday's Golden Globes, far from an exclusive event, was also an invitation to all the viewers. This movement demands everyone's participation. First, if you know a domestic worker, be her ally. Ask if she feels safe and respected in her work. Make sure she knows you value her work and stand with her. Connect her to her peers through organizations such as the National Domestic Workers Alliance so she is supported by a community. If you employ someone in your home and want to be connected to other families and employers who want to do the right thing, Hand in Hand, an association of people who rely upon domestic workers and caregivers, has resources for you. Support policy efforts to ensure all working people -- with special attention to the many groups such as domestic workers who have faced exclusion -- are protected from harassment and abuse. The gaping holes in the protections from harassment and abuse are simply unacceptable. It's time we updated the sexual harassment laws to ensure all women -- in workplaces big and small -- have legal recourse, and that those laws are adequately enforced. And, remember, this is an election year. Make sure candidates for office are allies, too, and that they prioritize the safety and dignity of all women, especially those in vulnerable communities and industries. Any candidate for office should have our policy agenda high on his or her list of priorities. As #MeToo stories reached new levels of visibility last year, many asked, "What comes next?" On Sunday night, we saw what comes next: women working together to ensure that the culture of violence that enables sexual harassment and assault becomes but a distant memory. 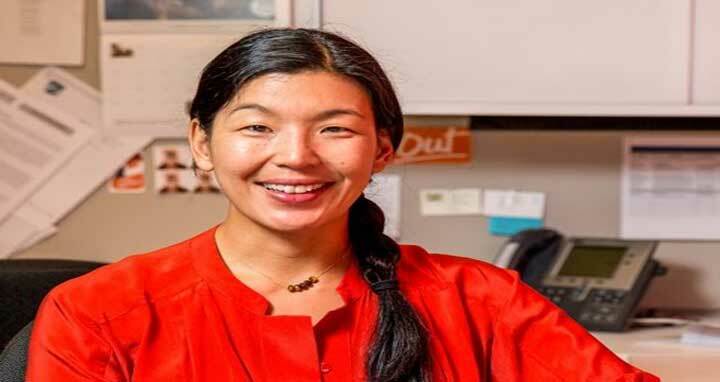 Ai-jen Poo is the executive director of the National Domestic Workers Alliance and author of "The Age of Dignity: Preparing for the Elder Boom in a Changing America" (The New Press). The opinions expressed in this commentary are solely those of the author.